The book has “no fluff” guidance on building VMware vSphere. 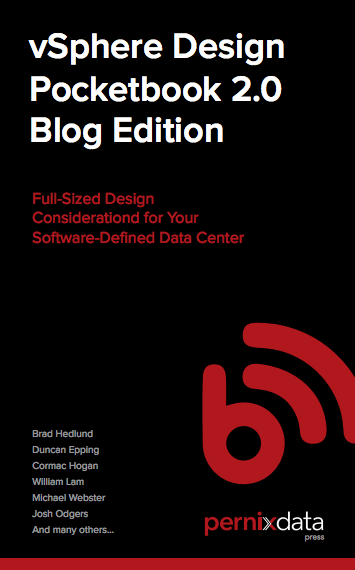 Those at VMworld 2014 can get a printed copy in PernixData booth #1017. I don’t yet know which one of my entries was published. Once the book is released at VMworld, I will update. Unfortunately, this year I cannot make it to VMworld 2014, but I hope my friends will bring me a printed copy. 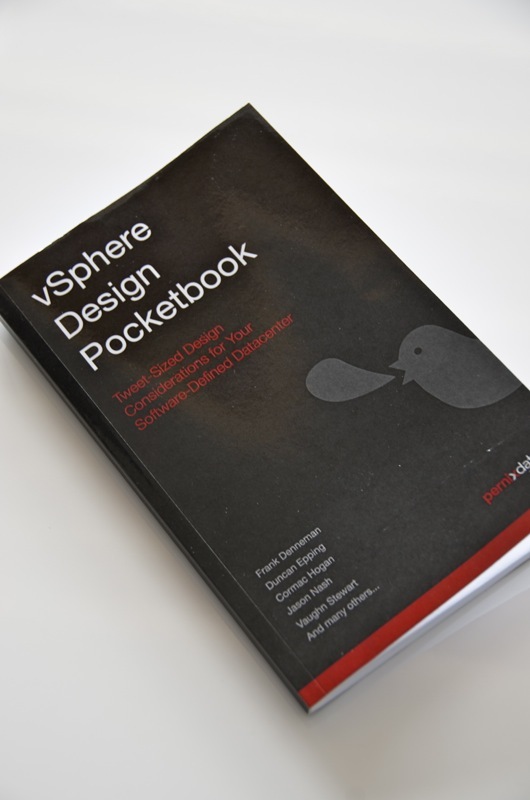 The book has to the point guidance on building VMware vSphere, without any fluff. Those at VMworld 2013 got a print copy. I was surprised to learn that the submissions I considered to be my best were not picked. Instead, entries in the areas of vCenter design and vSphere cluster design were selected. I had a chance to meet Frank Denneman at VMworld 2013 and he signed my book. Thank you Frank for wonderful advice on being Social — I am relatively new to the trade and this was a major success. I am learning from the masters. I also met Duncan Epping, Cormac Hogan and Vaughn Stewart. Unfortunately, I could not track down Jason Nash – maybe another time. 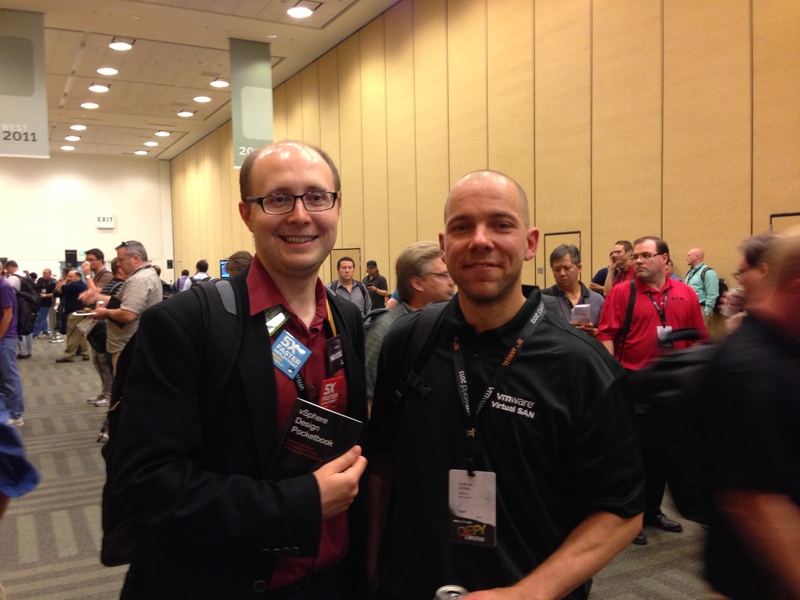 Here is me with Duncan Epping at VMworld 2013 holding the book — star struck.